Organized sports provide our children with opportunities to grow and develop physically, mentally, and emotionally. It is our goal that this growth and development occur in an atmosphere which promotes and demonstrates our Catholic/Christian values. Accordingly, it is our goal that all activities of our sports program are conducted in a manner consistent with the values of good sportsmanship and fair play. All St. Joseph School students and St. Joseph Parish registered parishioners are eligible to participate. See the CYO Manual and/or the St. Joseph Athletics Handbook for more details. The St. Joseph Sports Program is a Parish organization. The Parish has established a Sports Committee to run this program. The St. Joseph Sports Committee is responsible for all aspects of the program including sign-ups, coach appointment, facilities maintenance, uniform and equipment purchases, and fundraising. The Sports Program operates financially independent from the Parish. The Program is financially supported solely through fundraising, concession sales, player fees, and donations. This manual was written by the Archdiocese of Detroit (AOD) and is used by the Monroe CYO Director for guidance on rules and regulations. The Monroe CYO rules may vary from the rules established by the AOD. 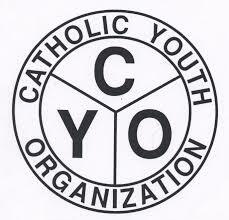 Click Here for the CYO Athletics Handbook. Click Here for the St. Joseph Athletics Handbook. To sign up for a sport, please contact Brian Boberg at brian.boberg@stjosepherie.com or text/call at 419-467-2567 and notify him of the players name, grade, and sport they are interested in playing in. Then fill out the following forms and email to Brian or drop off at the Parish office. Please write a check for $60 payable to St. Joseph Sports and submit with your forms. This fee is used to cover the CYO player and team fees as well as referee / umpire fees. There may also be a uniform deposit that will be returned to you once the you return your child’s uniform. This was put into place to ensure all uniforms are returned in good condition. This deposit will vary per sport. Sports Eligibility Form St. Joseph Students only – Explains grade expectations in order to participate in athletics. Participating parishioners’ grades will monitored by parents. Uniform Agreement Form Explains that uniforms must be returned in good condition and that a deposit will be required when uniforms are handed out. Students at St. Joseph Catholic School are eligible to play sports for all Michigan and Toledo Catholic High Schools. As clarified by the Ohio High School Athletic Association to the Catholic Youth and School Services, students who wish to participate in athletic competition at any of the six Catholic High Schools located in metro-Toledo must attend a Catholic elementary school from grade 4 through grade 8. St. Joseph Catholic School is the only elementary school in Michigan whose students have this eligibility. If a student who lives in Michigan transfers to St. Joseph School from another parochial school in Michigan, there should not be an issue if they wish to play sports in a Toledo Catholic High School. This can be verified with the high school as necessary.